If you love wines, becoming a sommelier or wine master may be your dream job. In addition to pouring and recommending wines, a sommelier must have an extensive knowledge of wine history, regions, winemaking practices, wine tasting, and proper etiquette. Fortunately, you can learn all of these skills and more in a sommelier course or training program. You don't have to have a professional education or certificate to use the title of "sommelier;" however, if you plan to get a job as a wine steward at a restaurant, you'll need to undergo some training. The following steps can help you tackle the process of training for this career. Introductory Sommelier Certificate - This basic program requires only a few days of coursework, as well as intensive independent study and a lengthy examination. It's a good place to start your education, but employers may not see it as full qualification. Certified Sommelier Certificate - This mid-level form of certification requires wine stewards to pass an additional examination, which will require significant studying. This is a good choice if you're planning to work in a less competitive environment. Advanced Sommelier Certificate - This more advanced certification level requires a three-day intensive course and builds on the skills of a certified sommelier. The examination requires practical knowledge of wine service, blind tasting ability, and significant study. It also has a written portion. This is a good choice to make yourself more competitive in the job market, and it's a necessary step toward becoming a master sommelier. Master Sommelier Diploma - This is the most advanced degree in wine stewardship. Often, this requires a course of study, lasting from about six months to two years. The examination involves practical wine knowledge, service expertise, and much more. According to the Court of Master Sommeliers, only 10% of people taking this examination receive a passing score. It's also important to note that many sommeliers choose to get a Master of Wine degree. This degree isn't something that the Court of Master Sommeliers oversees, but it does qualify you to be a sommelier. It's more of a theoretical degree and is focused more on wine knowledge than on practical wine service. Only those who pass the final course from the Court of Master Sommeliers can call themselves Master Sommeliers. Before you can sit for the Introductory Sommelier Certificate examination, you typically need at least three years of wine service experience. This may involve working in a fine dining restaurant as a server who recommends and pours wine. 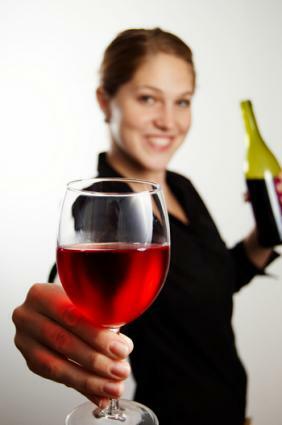 According to the Court of Master Sommeliers, this level of experience is necessary for subsequent certification levels. Although you don't have to take a sommelier course to sit for the examination, you'll be far more likely to pass if you have fully prepared. Additionally, wine experience and course completion from any of the following programs may also help you land a sommelier job even if you choose not to take the Court of Master Sommeliers exams when you finish. International Sommelier Guild - This program has three levels, designed to prepare you for various certifications. The master sommelier course is six months long. Sommelier Society of America - Based in New York City, this program will prepare you to be a certified sommelier. The course is 21 weeks. Culinary Institute of America - This prestigious organization offers an accelerated program to receive a wine and beverage certificate. In order to apply for the 30-week program, you'll need to have a bachelor's degree. Institute of Masters of Wine - This competitive three-year program will train you to become a master sommelier and prepare you to take the certification examination. It also involves writing a dissertation. After you've finished your course, you'll need to take and pass the appropriate examination to receive certification. Many courses include the examination at the end, but if not, you can contact the Court of Master Sommeliers to find out where to go for your test. Since there are no legal certification requirements to becoming a sommelier, you have some alternatives to taking a course of study and passing an examination. In some cases, extensive experience may go farther toward getting you a job than an official certificate or diploma. The most important thing you can do is build your resume. In addition to serving wine at a fine dining restaurant, get experience working at a winery or vineyard. It's also good to spend time working in a specialized wine shop. Additionally, less intensive courses can also lend credibility to your career path. Consider taking short courses at your local community college or culinary institute. Even an online wine class can help you learn more about wine. Whether you choose to take an alternative path or enroll in a master course, becoming a sommelier takes dedication and hard work. With time, education, and experience, you'll soon be doing your dream job and sharing your love of wine with others.